When Motiv told me what they were working on just ahead of CES, I perked up. It wasn’t the functionality — there are a million trackers out there that do what the device does and much more. It was the potential the product represents — the beginnings of liberation from the tyranny of the wrist. It’s easy to understand why so many companies are so attached to that thin little joint connecting our hands and forearms — human being have been using that little bit of flashy real estate to house technology for a century and a half at least. Adding a little extra brains to wrist watch was a perfect solution. But there are plenty of other body parts that haven’t gotten their fair share, so it’s nice to see a hardware startup shaking things up a bit. The ring isn’t quite as immediately obvious a form factor as the wrist band, mainly due to size constraints. You can’t do a display, and the space for a battery is virtually non-existent. It would be accurate to say that any enthusiasm I had for the thing was tempered with a healthy bit of skepticism. Also, I’m not really a ring guy. I’ve never worn ‘em. I fell asleep trying to watch the first Hobbit movie on a plane and never tried again. I don’t like rings, is my point — and no wearable, no matter how great, is going to change that. So I can say pretty confidently off the bat that I’m not going to be a Motiv convert, but it’s really through no fault of the company’s. The Motiv succeeds in its goal surprisingly well. It’s the first product from a brand new startup in a largely untested form factor. But it gets the job done. It’s discreet and capable, and it doesn’t try to overreach, boiling fitness tracking down to its basics — out of necessity, given the product’s small size. If you’re like me, a non-wearer of rings, the company takes a sort of Warby Parker approach, sending along a home sizing set. It’s a box with seven dummy runs inside to get the right fit. I’ve been wearing the Motiv for the better part of two weeks now. It’s traveled with me back and forth across the country, through all manner of tech events. I wish I could tell you’ve I’ve worn it every day since I got it, but I haven’t. That’s on me. Rings are small, it turns out. They’re easy to misplace or leave behind on your way out the door. And mine is black, making it extra easy to lose. I spent a good 15 minutes trying to find the thing in a hotel room one morning. (It was on the bathroom counter. It’s always on the bathroom counter). But that unobtrusiveness is almost definitely a selling point for many. Not everyone wants an Apple or Samsung watch — for many, there’s a lot of appeal in a device that’s essentially out of the way. It’s a nice looking thing. It’s wholly minimalist compared to the armies of sporty wrist bands out there. There’s an LED light on the outside of the ring, but it’s subtle and mostly stays off. 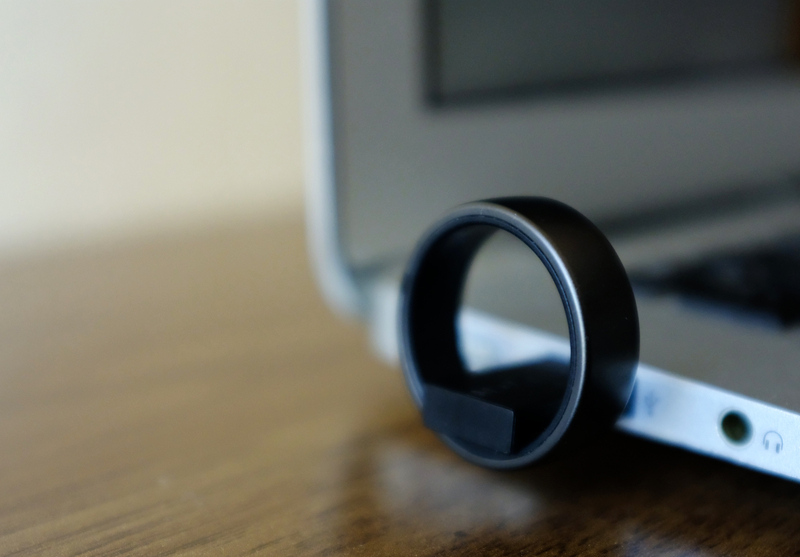 It’s primarily there to let you know that’s it’s charging when you snap the ring into the small magnetic USB strip. The device itself is made from titanium, an increasingly popular material for rings, due to its lightweight. Though, there’s some drawbacks. Here’s an NPR horror story about emergency rooms trying to cut the things off of swollen fingers with pictures you won’t want to look at before bed . Oh, and a bit of good news from your friends at Snopes: “Removing a titanium ring from a swollen finger can be difficult, but contrary to rumors it doesn’t require amputation of the digit.” So that’s a plus. As for functionality, the Motiv succeeds in its task by stripping fitness tracking down to its essentials. If you’ve been seriously eying the Apple Watch or new Fitbit, this isn’t the watch for you. 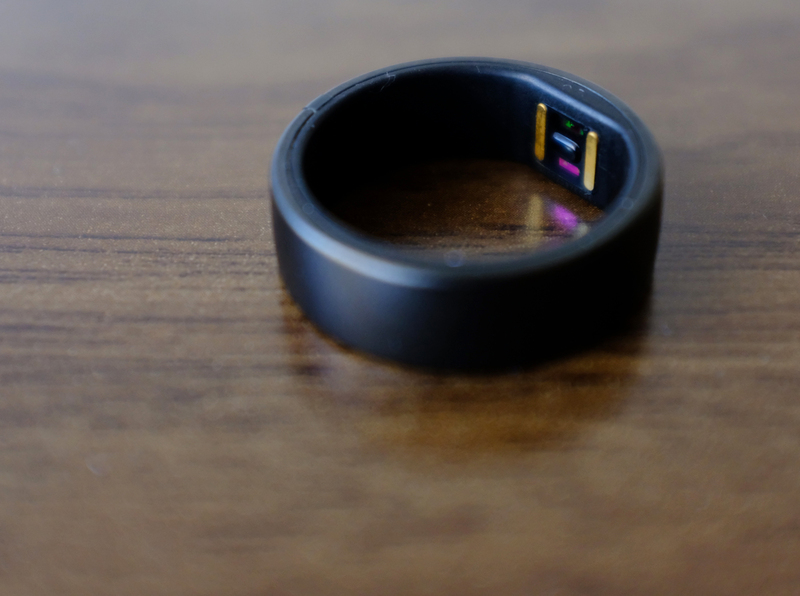 The ring has two sensors: an accelerometer and a heart rate monitor — and honestly, it’s pretty impressive that they were able to cram that second one into such a small product. Motiv’s app, meanwhile (only compatible with iOS for the time being) breaks things down in terms of active minutes. It’s an interesting change from leading with steps/distance. 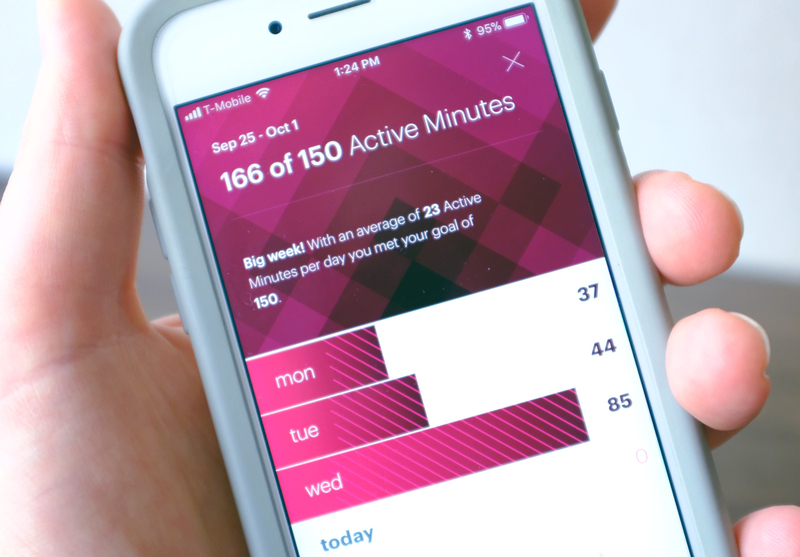 All of that information is here, but it’s presented in a way that focuses on how much time you spend moving, per day and average per week, rather than the distance you’ve traveled. That’s probably smart, since the ring didn’t capture all of the steps my Apple Watch picked up on during the same days. In a sense, it’s a bit a glorified pedometer/heart rate monitor — and for that reason, the $200 price tag will probably be tough for many to swallow. Let’s be honest, a lot of what you’re paying for here is the novelty of having all that crammed into a ring. But there are some impressive feats of engineering here. The ring is waterproof, of course (gotta wash those hands), but more impressive is what the company was able to squeeze out of the on-board battery. Motiv estimates life at three days, and I found that to be pretty accurate in my testing — surprisingly so. That was really my biggest hesitation about the product, concern that I wouldn’t even get through a full day. The company accomplishes this, in part, by not offering constant syncing. It’s a bit of an annoyance, but understandable, given what the company is trying to deliver. The Motiv is an ambitious product, but even more importantly, it’s a welcome shift in a wearable world dominated by the wrist. 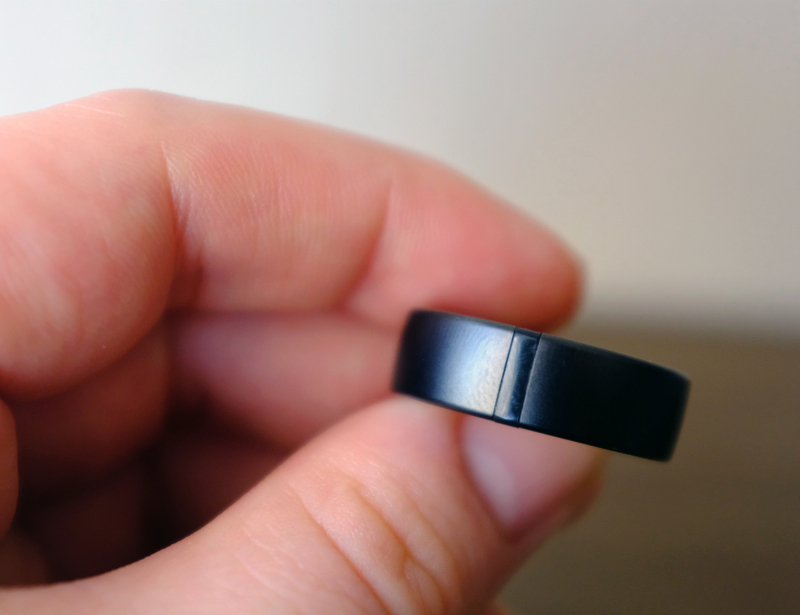 The startup did a good job distilling the fitness band to its essence in order to cram it into this small size. There are some tradeoffs, of course, and the company is going to have to find a way to drop the price (scale could help on that front), but it’s an impressive first offering.